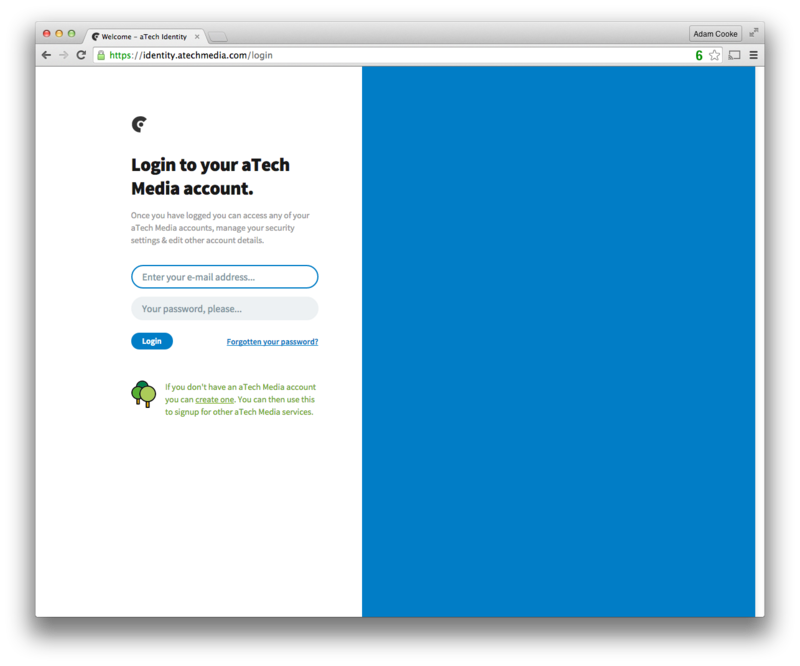 For those of you who don't know, aTech Identity is our single sign on system which is used across many of our apps to allow you to login to any app with the same username & password. Today we've launched a new-look version of aTech Identity. The primary reason for the change was to allow us to upgrade the underlying version of Ruby (from 1.9.3) and Rails (from 3.0.x) to Ruby 2.2 and Rails 4.2. 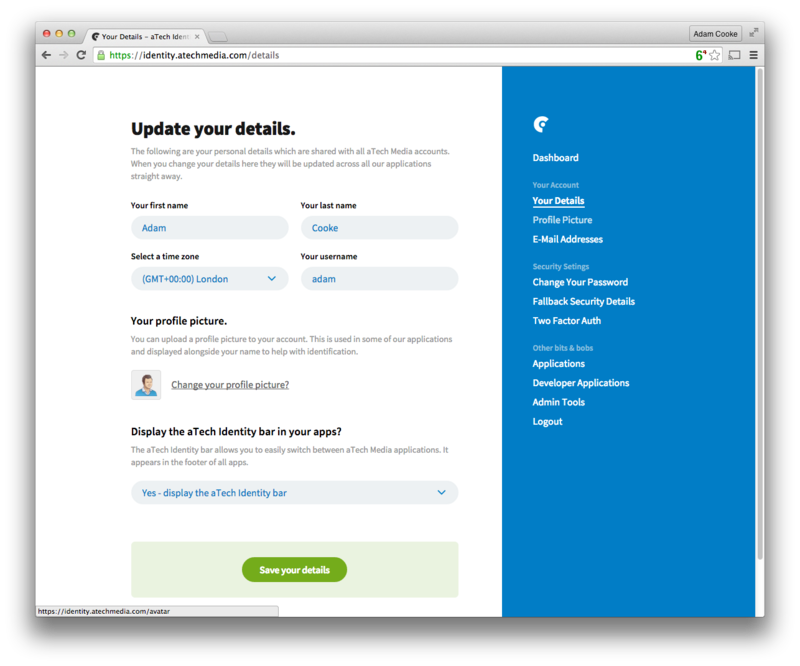 We took this opportunity to give the web UI a new coat of paint. 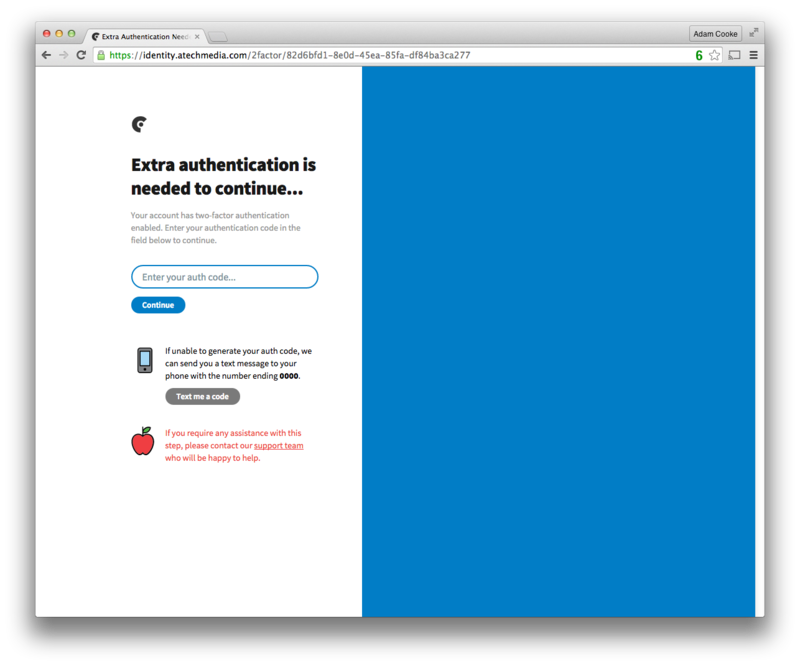 We've also added a couple of improvements to the way two factor authentication is handled. 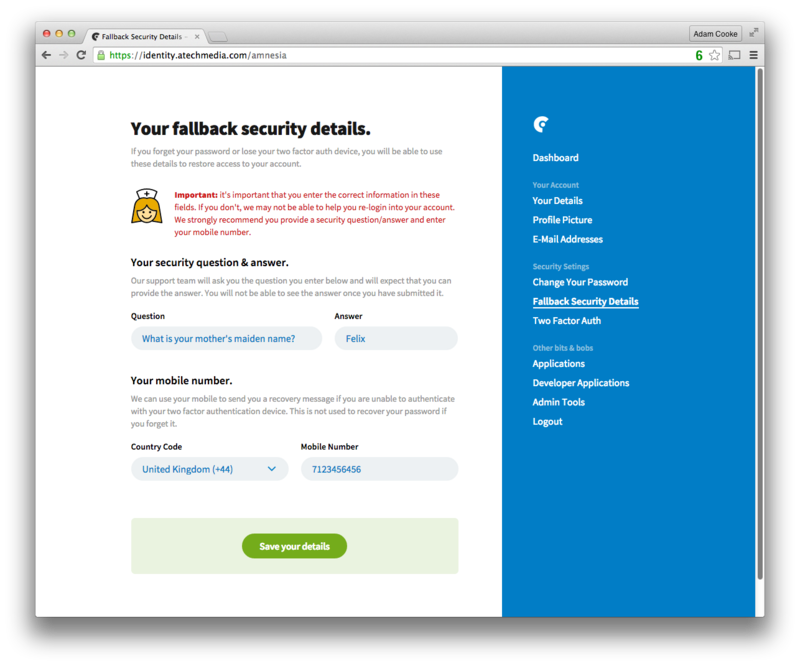 You can now add a mobile number to your account to help you recover access to your account if you lose your security code generator. Have a go yourself or just take a look at the screenshots below.